There are plenty of things to do in Tokyo in the day time but what about at night? This Tokyo Nightlife Guide responds to questions, with info to families and for those asking "what to do and where to go in Tokyo at night. A Tokyo local who offers night tours, provide useful info including places with maps, price and tips to safe nightlife. This guide will give you some insightful information on some Tokyo nightlife activities, places to eat, and where to have a good time in the city. "I'm going to Tokyo. My daytime schedule has been fixed, but what should I do at night?" This is the question me and my wife are frequently asked by friends visiting Tokyo. What to do at night? Where to go for some fun nightlife in Toyo? What to do when traveling alone or with family and friends? Compared to information you can find on sightseeing places, there seems to be little provided about the nightlife. Even if you search through various articles on the Internet, there isn't much to it. Instead, you just find typical destinations for tourists. Certainly the Robot Restaurant may be worth visiting, but you don't want to go there every night. And Shibuya (my hometown!) is a great area to go out at night, but it seems like no one knows where to go to experience the best of Shibuya after dark. In Tokyo, the culture to enjoy the city night is deeply rooted for a long time, and it is actually enjoyed by locals in various ways every day. Tokyo nightlife offers a distinctive feature depending on the area you are visiting, which is profound and you will never get bored. I will be providing various useful information on Tokyo's nightlife, and places to have fun from the point of views of the local. All this will be available through the Tokyo Nightlife Dictionary and articles you can jump from here. In Japan, it can at times be difficult to communicate using English outside sightseeing spots and popular places often visited by foreign tourists. Therefore, many are reluctant to journey to the common places for locals. If you are uncertain as to whether you can enjoy the local nightlife on your own, you can always join some of our Tokyo night tours like the Tokyo Bar Hopping Food Tour in Shinjuku or Shibuya Bar Hopping Night Tour that I proudly run with young and friendly local tour guides, to grasp the atmosphere of the Tokyo nightlife. For information that was only briefly introduced in this article, I have attached links in the text that will take you to more detailed articles, so please read them together. So, let's get started. Welcome to the adventures of Tokyo nightlife. Let's enjoy like a local! As the article named "Dictionary" implies, you can find many information here. If you do not have time to go through all the information posted, please jump to the corresponding articles from the following link. Introducing 8 ways to enjoy an authentic Tokyo night such as Izakaya, night club, karaoke and amusement facility. What's an Average Budget for Each of the Nightlife Activity? In addition to the tips on how to enjoy Tokyo nightlife, find out about the average budget that a person usually spends at one place. Tokyo consists of various areas, each with its own characteristics. Read some of the introductions on where to go for the fun nightlife, the busiest time, types of customers you will find and price ranges. Check out the guide to enjoy Tokyo by days of the week, and introductions to the most lively areas. Get information to help you reach the hotel safely after enjoying the nightlife. Tokyo is one of the safest cities in the world, but there are still things you should know in order to have safe nightlife. Locals in Tokyo love Izakaya. They hit an Izakaya when having a small party, and to have a drink after work, even if there is no particular reason. There are various types of Izakaya, each with its own charm. There are numerous types of Izakaya foods, which you will never get tired of. Everyone has their favorite Izakaya. Those popular Izakaya are often difficult to make reservations even during the weekdays. It is not exaggerating to say that, going to Izakaya is the most popular way to spend the nightlife in Tokyo. Izakaya is a place where you can enjoy alcoholic beverages while ordering various reasonable priced dishes in small quantities to share in a group. In Japan, people go out to an Izakaya with family, colleagues and friends to enjoy delicious meals and alcohol. You will be surprised with the high quality meals that are just like the ones served at the luxury restaurants, offered at some popular Izakayas for reasonable prices. There is also a wide range of drinks including mainly draft beer and Japanese cocktails. Their atmosphere is another attraction. Popular izakayas have a lively atmosphere full of customers' laughter. A lot of tourists are surprised to see Japanese people who tend to be quiet and shy at work or on the streets, converting to a fun and active people. This is not only because of the alcohol, but also for being in the cozy environment of an Izakaya with their friends. Drinking under the age of 20 is illegal in Japan, but in most cases it is allowed to bring a child into an Izakaya. There are always drink options on the menu other than alcohol, and the lively but relaxing atmosphere will be comfortable for children too. You can also enjoy going to an Izakaya alone. However, there might be time you will not be allowed to enter in case they only have table seats available, but if you find an empty counter seat, you will definitely be able to enter. There are so many variations of Izakaya food that unfortunately I cannot introduce them all. However, the following dishes are many times chosen as the signature menu of Izakaya. Each Izakaya has a signature menu, which helps to create its own unique character. Even though it is the same menu item sold at other places, popular Izakayas are very particular about the taste and the way of presenting their food. So, visit various Izakayas and enjoy having a lot of Izakaya food. Yakitori is a staple for most Izakaya menu. Various parts of chicken are skewered with a stick and then grilled. There are so many parts of meat, each with different flavor, fat, and texture. The chicken is typically seasoned with shio (salt) or marinated in tare (sauce). At popular Yakitori's famous store, fresh chickens are purchased from poultry farms and grilled carefully over a charcoal fire. Yakiton is similar to yakitori, but the ingredient is pork. You can also choose various parts of pork. Recently, it has been gaining popularity in Tokyo, and became a signature menu in many Izakayas. Yakiton is more Juicy than Yakitori. Sashimi is another indispensable dish for Izakayas, along with yakitori. It is loved by many people in Japan. Sashimi is a traditional Japanese cuisine that fresh raw seafood is sliced into thin pieces. There are special techniques for cutting fish, which different cutting is applied depending on the type of fish. Sashimi is eaten with a soy sauce and spicy wasabi (Japanese horseradish). It is only natural as Tokyo is the birthplace of sushi that there are many seafood menu and it can be said that sashimi is one of the soul foods of people in Tokyo. Kushikatsu or Kushiage is made with various ingredients, skewered and then deep-fried in fine vegetable oil. Each is deep-fried until it is golden-brown, which comes out so beautiful. A major reason for its popularity is the use of various ingredients such as meat, seafood and vegetables, which are sealed in flavor. They are juicy and have a crispy texture. It originated in Osaka, but has been modified to suit Tokyo's taste and over time became one of the staple Izakaya foods in Tokyo. Okonomiyaki is a dish that consists of dough made mixing flour and eggs, then topped with various ingredients and cooked. As you take a bite of the fluffy pancake, you can savor the different taste and texture of the ingredients and never get tired of eating. You can many times choose your favorite toppings. A further unique point is that customers can cook the okonomiyaki by themselves in many places. You can also ask the staff to cook it for you, but it would be a fun experience to try cooking on your own. So far, I have introduced only the most popular menu in Izakaya, but there are still many other Izakaya foods that Tokyo is proud of. Those are more local specialties and maybe something you can taste only in Tokyo. Oden (winter hot pot), nikomi (stew) and motsuyaki (grilled organ meat) are some examples. Sushi and Ramen are the izakaya food ? Some other articles mention sushi and ramen as typical Izakaya foods. However, from the point of view of a local, I'd say that it is rare that popular local Izakayas offer sushi and ramen. Although there are some large Izakaya chains and Izakayas for tourists that offer, many times sushi and ramen provided are not so good. If you want to eat sushi or ramen, I definitely recommend you to eat them at their specialty restaurants. Besides the food, the drink menu makes an Izakaya unique. Some Izakayas place a great deal of focus on specific alcoholic beverages, which are not offered in other places. The followings are examples of drinks that many Izakayas offer with their own special touch. Sake is a very well-known traditional Japanese alcohol. It is famous for being very easy to drink. The best way to gain the appreciation for sake is to couple it with Japanese food. There are many sake breweries all over Japan, and various types of sake, from the world famous ones to those rare ones not even known by the locals. Some establishments, which pay special attention to sake offer nearly 100 kinds of Japanese sake, allowing customers the privilege to compare and taste different types of sake. Also, as sake is made using natural ingredients, freshness also affects the taste. Japanese sake should have a different taste than what you drink in your hometown. Come and try it. It is distilled alcoholic beverage made from fermented potatoes and cereals, and has a long history to that of Japanese sake. Because the alcohol content is higher than sake, it is often served mixed with soda or water, rather than straight. There are quite a lot of local people who likes shochu more than sake. Places specialized in shochu offer dozens of different types of shochu. You may wonder why drink beer in Japan? Certainly beer is not a drink originated in Japan. However, beer is very much loved by Japanese people. People would not go to an Izakaya where beer is not very good. There are major beer brands including Kirin, Asahi and Sapporo, but more recently craft beer such as Yona Yona is increasing, developing a unique beer culture in Japan. Also in Japan, cold draft beer is commonly served in many places. In some of those places, there is even an extra cold beer at less than 0 degrees! In addition, Japanese cocktails such as chu-hai and highball are always available in Izakayas. 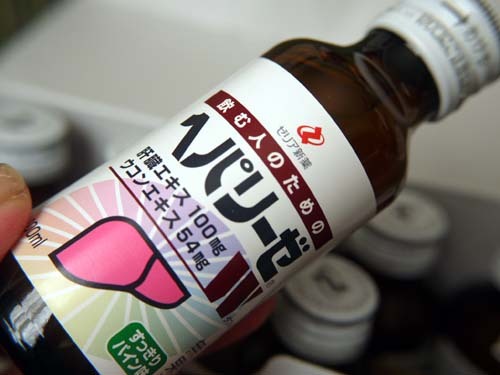 There are also some fruit liquors such as umeshu (plum liquor). Not to be forgotten that there are many high-quality Japanese whiskeys too. There are more unique alcohols from Tokyo such as hoppy and Hoisu. (Me and my colleague from the Netherlands who came to Tokyo also love hoppy). In Japan there are food and drink alleyways called "Yokocho" where small izakayas gather. Izakayas in Yokocho alley are basically very tiny, but they are very comfortable and often crowded. The whole alley is lively, and small enough to become acquainted with someone you just met. There are many historical Yokocho that are cozy but possess a slightly rustic atmosphere at first glance, which cause some tourists a bit shy about entering. Unfortunately, many of the historical Yokocho are disappearing due to the city's redevelopment. Do not miss visiting before they are gone. Recommended are Shinjuku Omoide Yokocho, Shimbashi Karasumori Shopping Street, Shibuya Niku Yokocho, Musashi Koyama Shopping Street and Yurakucho Gado-shita. As Omoide Yokocho and Shibuya Niku Yokocho are included in the route at our Tokyo Bar Hopping Food Tour in Shinjuku and Shibuya Bar Hopping Night Tour respectively, try our night tours if you want to experience local Yokocho alleys! The typical Japanese drinking style is to go bar hopping. Instead of staying in only one place for a long time, you go from one Izakaya to the next after about an hour. Bar hopping refers to repeating this drinking style for about 3 places (about 5-6 times in some cases). Bar hopping is highly recommended in the drinking districts or Yokocho. It is not because of being a traditional drinking style, but also for getting to enjoy many Izakayas in a day, each with its own unique food and alcohol. It is also fun to leave an Izakaya and walk around the city while feeling a little tipsy and look for the next Izakaya with friends. However, please respect the manners of ordering at Izakaya. Make sure to buy at least one drink for each person, and two dishes when you go in a group. Unfortunately, many Japanese people don't speak English very well. Although there are now a number of places that have English menus, keep in mind that it seems like they are only available at around 20 to 30% of Izakayas, and you shouldn't expect the staff to speak English. But that does not mean that the language barrier will affect the service quality. Japanese staff (especially young people and middle aged ladies) are basically very diligent and friendly. You can just point at the item on the menu when you are ordering. If possible try using few Japanese words you learned. Also, if you join our Bar Hopping Tours, a young local guide will take you to a lively and delicious Yokocho and Izakayas, as your own local friend. You will also be able to visit local places where English communication may not be perfect, so give our tour a try! After you enjoy bar hopping at Izakayas, but you still want to enjoy a little bit more of the Tokyo nightlife, why not stop by one of the Tokyo's cocktail bar or whiskey bars? Do you feel like why come all the way to Tokyo and have cocktails and whiskeys? Certainly an Izakaya or Yokocho have more of the Tokyo atmosphere even from the local perspective, but still let me introduce the Japanese bar scene. "World Class," which is the world largest global bartending competition, two Japanese became champions in the last ten years. The Japanese's passion for alcoholic drink has helped bars to improve their service quality, as well as meet a condition to produce excellent bartenders. Secondly is the Mori bar in Ginza. Mr. Mori who is a legendary bartender, has been leading the Japanese bar scene after becoming the world's best bartender in 1987. As the bar is located in Ginza, it is often visited by celebrities and high-status people. The signature menu is Martini. But it is not just any Martini. Some people say it is the best Martini in the world. Please visit here and try it for yourself. Besides cocktail bars, there are also many fine whiskey bars in Japan. It is only natural if you consider the growing popularity of Japanese whiskeys in the world. Whiskeys in Japan are loved especially among people in their 40s and older. Unfortunately, it seems as though younger people do not appreciate the whiskey culture. I'm 34 and love whiskey, but still I am one of the younger people at the whiskey bars! Here are two picks for whiskey lovers. First of all, the Tokyo Whiskey Library in Minami Aoyama. It is spectacular to see with more than 1000 kinds of whiskeys displayed on the bar shelves from the floor to the ceiling. Not only the Japanese whiskeys, but the bar also offers an old bottle that is difficult to find elsewhere. It is a place that will help whiskey lovers to forget the time. Second would be the Eagle in Shinjuku. This bar is owned by Suntory, famous for renowned whiskeys such as Yamazaki and Hibiki. The bar has a very long history and has been loved by a broad range of people, from a local to the businessman working in the neighborhood. Eagle does not have a common bar look nor a chic atmosphere, but it rather looks like a big underground cave with a welcoming atmosphere. Come and enjoy Japanese some fine whiskeys here! You are enjoying a night out in Tokyo and you have forgotten about the time. Then you realize it is already 11PM. What would you do? Would you just get back to your hotel? No! If you are still feeling energetic, not traveling with your children and like music, then don't forget to start adventures for nightclubbing! Shibuya and Roppongi, the areas where I grew up are hot spots for the Tokyo nightclub scene. 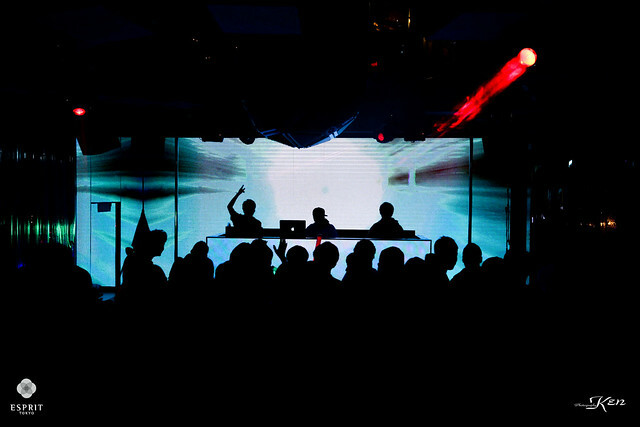 Of course there are other nightclubs in places such as Daikanyama, Shinjuku and Shinkiba, but if you are really seeking some good quality and exciting clubs, you will find what you are looking for in Shibuya and Roppongi. Shibuya's nightclubs, like the city itself, are primarily a playground for young people in their early 20s. The price is cheaper than Roppongi, and the nightclub's atmosphere is often more casual. One of the recommended nightclubs is WOMB specializing in good sound quality techno, house and EDM (it was my favorite nightclub when I was in college!) Also, there is TK where stylish party lovers in Shibuya gather. Roppongi nightclubs, on the other hand, become a magnet for a crowd of local clubbers in their 20s but also in 30s after midnight. Prices are generally higher than those in Shibuya, and the nightclubs look glamorous. If you don't make a mistake in selecting the nightclub, you will be able to enjoy yourself comfortably. In many cases, you will find people who are hoping to meet someone, instead of simply enjoying the music. Please also note that there are so many nightclubs in Roppongi, including the less popular nightclubs and somewhat dubious ones, which may cause you some troubles. If you happen to enter a wrong nightclub, you might end up having a bad time. Do not go to the nightclubs using panders. Instead, go to the locally popular nightclubs such as V2, Esprit and 1 OAK Tokyo. Tokyo's nightclubs get lively between midnight and 5 am, only on Fridays and Saturdays. Even if you go on Fridays and Saturdays, there won't be many people before 10 pm and it is not going to be that fun. Some of the few nightclubs you can enjoy at an early time are in Ginza (GENIUS TOKYO, DIANA TOKYO). They get lively between 9 pm and midnight, making them a perfect place to go for those who can't wait to get the party started. Keep in mind that in case of popular nightclubs, there are times they have a restrict access when going around midnight. In particular, Roppongi V2, a popular nightclub among the locals has been known for having a long line of people waiting to enter. It would be better to enter the nightclub around 11:00-11:30 pm. While most of the nightclubs are open until 5 am, there are nightclubs in Roppongi that offer "after club," which means they remain open until around 9am. One famous for this is "JUMANJI." However, from my experience, I have an impression of seeing many drunken people at the after clubs, as well as more of a chance to get involved in troubles. Stay aware when you are around late for the after club. One thing you cannot miss when speaking of Tokyo's nightlife, is karaoke. It is a form of entertainment born in Japan, which you sing along with recorded music of famous musicians. In Tokyo, there are many establishments known as the karaoke boxes, where you see many Japanese visiting every night to have fun. As you will see, Japanese love to sing. So, let's all sing along! The karaoke (karaoke box) varies from a large room to small one as its name implies. These private rooms are rented out by groups of people to do karaoke. 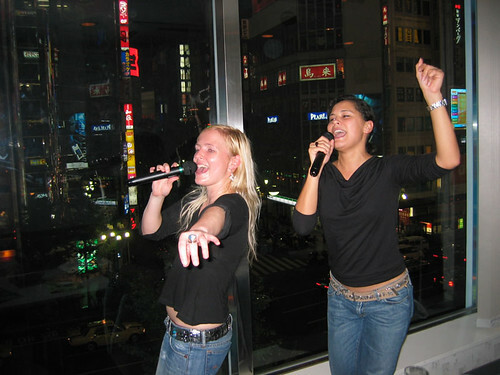 So people in Tokyo enjoy karaoke in various groups such as families, friends, company colleagues and others. The biggest feature of the karaoke box is that there is no age restriction, allowing anyone to enjoy. Songs for small children can also be found. When choosing a song in a karaoke box, it is necessary to search for a song that you wish to sing by artist or song name, using a device shown in the image below. Recently you can navigate the device in English enabling overseas customers to enjoy themselves without a language problem. A karaoke box is not just a place to sing. It is also often used for parties as karaoke boxes offer drinks including juice and alcoholic beverages, as well as light meals such as fried potatoes and sandwiches. The night you spend singing and drinking with friends is very exciting and fun. In karaoke boxes, the price per room is usually set on a time limit, which is usually calculated by 30 minutes or an hour blocks. There are however places with the midnight fare called "free time," that allows customers to stay until 5 am. Also note that usually you will be asked to order at least a drink or a snack per person during this time frame. Stay up all night singing! Most of the karaoke boxes in Tokyo are open until early in the morning. In other words, you can enjoy karaoke all night. It is not so uncommon for young people who missed the last train, to go to karaoke to party all night. It is not only karaoke boxes that offer karaoke. 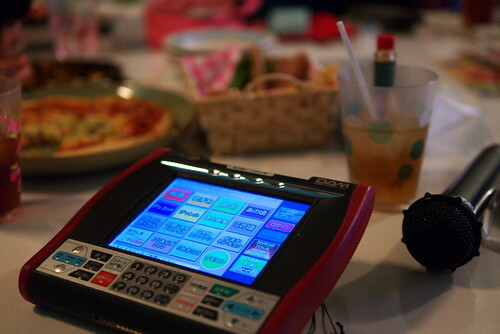 For example, there is a bar equipped with karaoke machine (known as a snack bar in Japan). Singing together creates a sense of unity more than you have imagined, offering an opportunity to become friends with people at the bar. One of the greater aspects is that you fill the bar with laughter and a positive energy. There may be people who are good singers or bad singers, but if you don't mind listening to songs of others, you may want to check them out. Now you should have some knowledge about the attractions of Karaoke. You probably want to have detailed information on what kinds of karaoke shops are available and how to navigate the equipment to select a song. Please do visit the "Tokyo Karaoke Guide" for more information. Tokyo is a huge metropolitan area with unique blend of historical and modern things, and there are so many options for sightseeing one should do during the day. On the other hand it's interesting to take a walk around Tokyo at night. Here are some areas that show different faces after sunset. 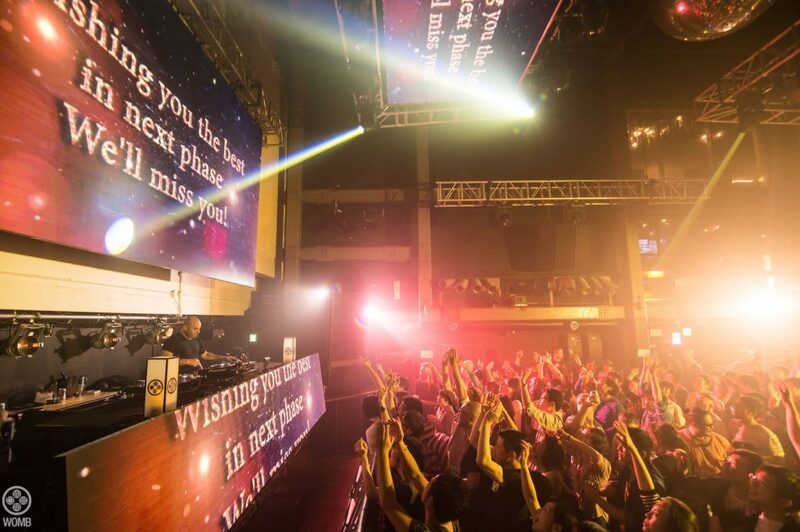 When you think about the night in Roppongi, it may be the nightclub that pops into your mind. However, Roppongi has a lot more to offer besides the nightclubs. For example, there is a Japanese garden called Mori Garden located outside the city center. While many Japanese gardens close at around 5 or 6 pm, you can stroll around freely at any time in this garden with no admission fee. The garden is lit up at night, offering the beautiful Japanese traditional garden scenery with seasonal plants. As it is a historical garden that has been kept since the Edo period, but as it is located just beside the tall Roppongi Hills tower, you can enjoy the view of the old and new feature of Tokyo together. As I have been focusing on providing information about local places, I did not want to pick up Asakusa, which is a famous tourist destination. However, I have to mention that Asakusa at night is quite beautiful. After the Sensoji Temple and Nakamise Shopping Street are closed, tourists disappear from the streets, leaving the area a bit quiet. However, this is the perfect time to stroll along the Denboin-dori Street and surrounding alleys where old city streets remain and are lit up by Japanese ancient lanterns. The nearby Hoppy Street is a lively place with Japanese style (slightly dirty) open bars. You might feel shy to go, as it is a very local in appearance, but it is a fun place to visit. Odaiba is also a famous sightseeing spot, visited by both domestic and overseas tourists. Locals visit mainly at night, for a date. Odaiba is an artificial island located on the further east of the eastern area of Tokyo's business and cultural center. 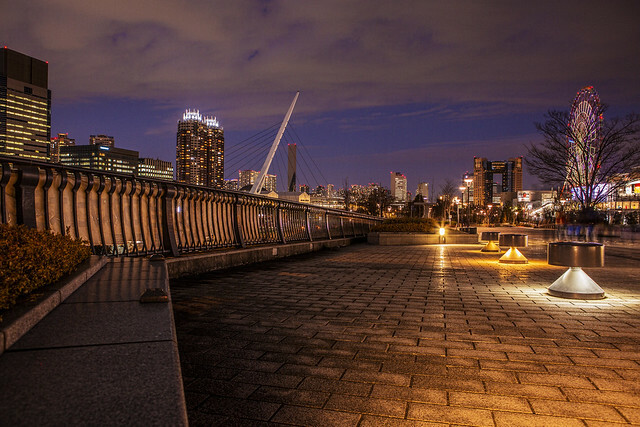 You can enjoy Tokyo's Panoramic night view from the Odaiba coast. It's very quiet and romantic. The nearby Rainbow Bridge is also lit up at night, offering a fantastic view of the skyscrapers, the Tokyo Tower and the Tokyo Sky Tree, which can be seen across the ocean. It is a perfect place to go for a walk. As you may know, Tokyo is the largest metropolitan area in the world. There are just so many people (over 30 million people! ), so big and it is globally famous for its endless urban areas. These areas are not concentrated in the center, instead, there are several central areas such as Shinjuku, Ginza, Yokohama and Omiya, which make Tokyo unique. This is why you can enjoy the endless night view of the mega city over the horizon, which can be only seen in Tokyo in the world. 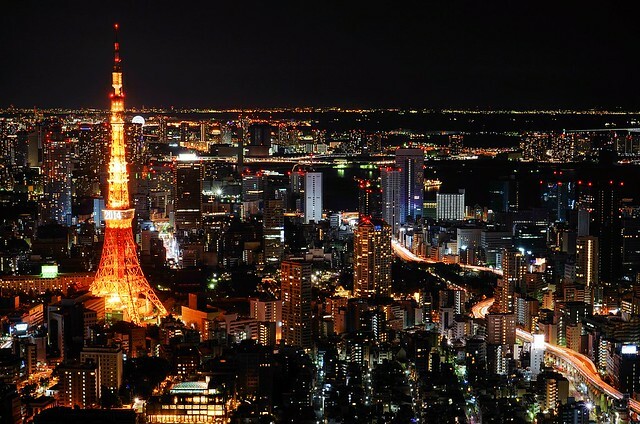 You cannot miss the night view of Tokyo from one of the high-rise points. 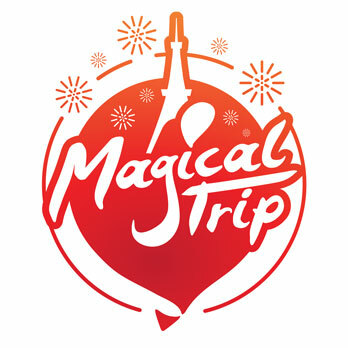 The popular observatories are Tokyo Tower, Tokyo Sky Tree, Tokyo Metropolitan Government Building, all of which you can view a wonderful night scenery, but at the same time crowded with tourists. There are however alternatives such as going to the less-populated local spots where you can see a beautiful night view, or a nice restaurant with great night view. An onsen (hot spring) is a beloved part of Japanese culture. Did you know that if you dig deep enough you could actually find a rich source of onsen in Tokyo? The local people in Tokyo love onsen, so occasionally they go out to onsen in the evening with their family or friends. So where is the best place to enjoy an onsen? There is also a small onsen called "Sento" in every neighborhood, but honestly, it takes courage even for those from Tokyo to go to a sento outside of their own town. 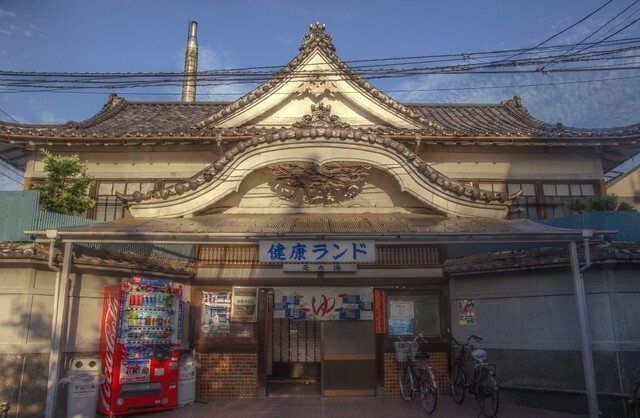 This is due to the particular atmosphere and local color the sento has. The most commonly recommended facility is called "super sento." The most famous with easy access from the city center would be LaQua near Korakuen Station and the Oedo-Onsen Monogatari in Odaiba. You can think of super sento like an "onsen theme park." Onsen is different according to the spring quality and types of onsen. So, take into consideration the time you would need to try all the onsen. Super sento also have restaurants that offer decent food allowing customers to enjoy dining and drinking after the bath. There are several other amenities as well, such as table tennis and Japanese style massage. It's one of the most recommended destinations especially for families. Let's check out other amusement facilities. One should note that in the evening, facilities such as gardens, major tourist spots, museums and art museums are mostly closed, so here are the two types of facilities I would like to introduce. The culture of watching night shows is still not very common in Japan, including in Tokyo. Shows and theaters are mainly enjoyed during the day. However, "Roppongi Kingyo" located in Roppongi is very entertaining. They offer shows that are fusion of innovation and tradition with the theme concept of "NEO Kabuki, "accompanied with a meal. The performance combines Japanese traditional dance and advances modern technology, which make the show unique and entertaining. 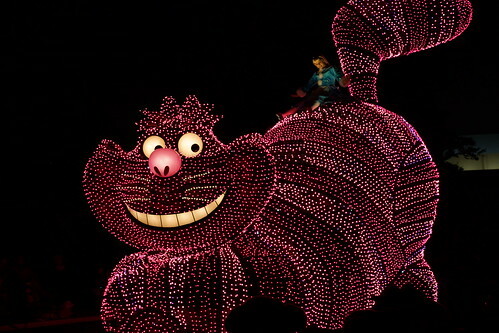 If you are looking for a night show, Roppongi Kingyo is highly recommended. It is in many ways an equal to the Robot Restaurant. Tokyo has some unique theme based restaurants, with everything, from décor to the staff's uniforms, menu and cutlery are chosen in accordance with the theme. These restaurants may be worth visiting. One of the most visited places is the "Ninja Restaurant," which lets you experience the world of Ninja. You will get great customer service from a Ninja, while you can find various Ninja tricks in the restaurant. Another recommended spot is "Zauo," where you catch your own fish and have it cooked. 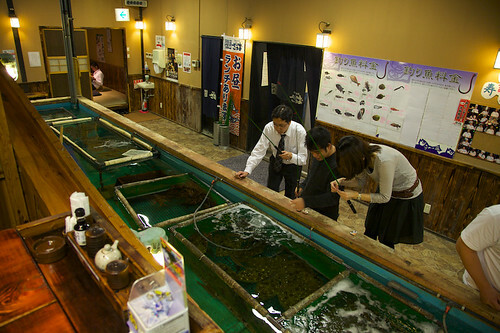 There is a large fishing hole for customers to catch the living fish. This fishing and dining experience would be especially recommended for the families. Children would simply enjoy watching the fish swimming around. Almost all the popular amusement parks like the Tokyo Disneyland, Tokyo DisneySea, Toshimaen and Namco Namja Town are open until 8 or 9 pm. So, if you are planning to visit one of these places, don’t just go for the night. Especially, Tokyo Dislneyland and DisneySea are not so close from Tokyo, which requires some transportation time. 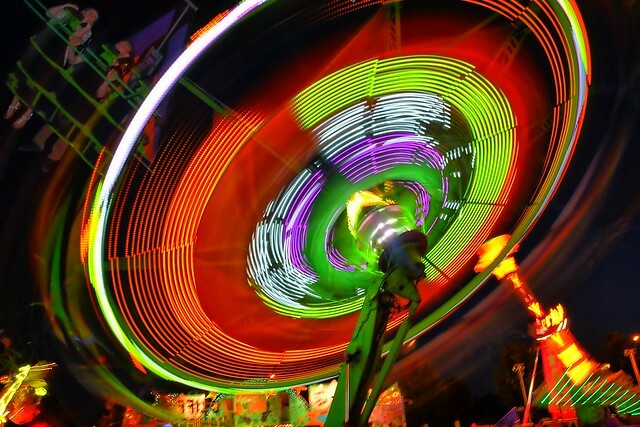 If you want to fully enjoy these amusement parks, it is worth staying there the entire day! So far, I have shown you different ways to enjoy Tokyo’s nightlife, but let’s see the approximate budget they require. Here are some examples of the average budget required per person, per facility. Please note that the price will vary depending on the dishes you order, amount of drinks or the length of time you spent at the place. Standing bars and small Izakayas in Yokocho alleys are tend to have affordable prices. The approximate price per person is between 2,500 and 3,500 yen. Bear in mind that cheap does not mean low quality in food or drinks. There is rather a number of places that serve good food and beverages, as well as loved by the locals. However, as most of these places can be found in a very local spot, you cannot expect the staff to speak English, even though they are very friendly. Regardless of whether it is an individual or franchise place, most Izakayas price ranges are approximately between 3,500 and 4,500 yen. These are the general pricing. The average price ranges for an elegant establishment, and stores that serve special food and services, are between 5,000 and 6,000 yen. The price can be higher too. Especially, there are many expensive Izakayas in Ginza. If you are having about 2 glasses of cocktails or whiskeys in popular bars among locals, then the price range would be between 2,000 and 3,000 yen per person. In case of some high-end bars, the price will naturally be higher. Particularly lounges in luxury hotels or those in classy areas such as Ginza or Marunouchi. However, you can expect a customer service that is worthy of the price. Karaoke fee changes depending on the amount of time spent there, whether it is during the day or night, and weekday or weekend. The price above is an average figure for two hours of karaoke per person on a weekday or weekend night. Most karaoke boxes require a minimum order of one drink or one dish per person. Above is the price when you order one drink (about 400 yen). Until about 10 years ago, Shibuya was mainly recognized as a city of young people and an epicenter for the latest fashion. However, more recently it has become a city where business people have fun too, as there have been several new office buildings established in the area. Still, you can say that the age group of people visiting there is predominately younger than in other cities. There are many Izakayas and restaurants offering affordable dinner, as well as many karaoke facilities and nightclubs in Shibuya. You can find some stylish cocktail bars too. 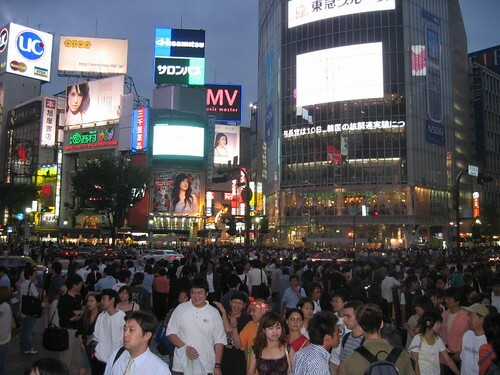 Shibuya is a place where you can enjoy nightlife after 6 pm until the morning. While Shibuya is a hot place for fashionable shops targeting young women, there are still some reasonable and lively old-fashioned Izakayas in parts of Shibuya. 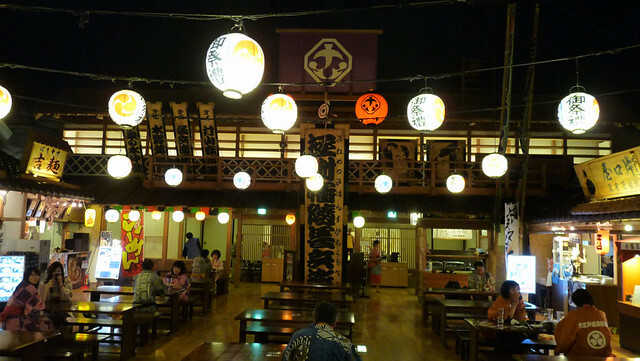 As most of the Izakayas are chain stores, make sure to pick a suitable place for dining. In our Shibuya Bar Hopping Night Tour, a young and friendly local guide will take you to Izakayas and Yokocho that are popular among the locals. Please consider this as a pleasant option if you are looking for the fun nightlife in Shibuya. Check out the tour's trailer! Roppongi is one of the legendary nightlife areas in Tokyo. Types of customers vary depending on the time you visit. Most of the restaurants and Izakayas are stylish and the prices are higher than in other districts. There are some people in their 20s, but in most cases, they are visited by people in their 30s and 40s, as they are the ones with more money. Therefore, the average age group between 6 pm and 10 pm is not as young as one might assume them to be. On the other hand, Roppongi becomes a nightclub town after around 11 pm. The average age group is slightly higher than the ones in Shibuya, but you can still expect to find mainly people in their 20s and 30s who are energetic enough to dance until the morning. From the viewpoint of local nightlife, I do not think there are many special restaurants and Izakayas you should visit in Roppongi. Most of them are a high-end and luxurious, but no particular feature of Tokyo. So from the concept of this article, which is "enjoy the nightlife in Tokyo like a local," Roppongi is a city worth visiting for enjoying nightclubs (a little disappointing to say this, as it is my home town). If you want to enjoy Roppongi’s nightlife, go around 11 pm and have fun all through the night. There is another feature about the people in Roppongi. It is often visited by the “expats” living in Japan to enjoy nightlife. Therefore, this area has a stronger International atmosphere. Shinjuku is the busiest area in Tokyo, which types of customers or lively time vary depending on the area you are visiting. In most of the areas, you can expect a good quality but affordable Izakayas and pubs, where people of all ages from young to seniors are enjoying drinking and dinner in the evening. The bars usually close around 11 pm or midnight, so people usually take a train and go home. "Omoide Yokocho Alley", which is one of the venues in the Tokyo bar hopping tour, is a Yokocho alleyway with a long history while standing in the middle of the giant buildings of Shinjuku. It is a unique space, which has a retro and very local atmosphere but is surrounded by the modern skyscrapers. Come and join our tour and visit this exciting place. On the other hand, Kabukicho, which is said to be the best red-light district in Asia, and the Golden Gai where even the locals do not often venture, are open until morning, offering various types of entertainments all through the night. Especially in Kabukicho, there are many young people partying all night. However, as local, Kabukicho and Golden Gai are not the kind of places I would recommend to visit late at night. Therefore, the best time to visit, as I have indicated more of a safer time, is from 6 pm to around midnight. Tokyo bar hopping tour　is a tour that takes you to some popular local watering holes and vibrant Yokocho alleys including the historical Omoide Yokocho in Shinjuku and Ebisu Yokocho, popular hangout spots among younger people. Ikebukuro is also a big city comparable to Shinjuku, but clearly the generation is younger than the one in Shinjuku. The largest percentage of customer seems to be similar to those who visit Shibuya, but since many of the last train departing from Ikebukuro Station are relatively early, the city does not stay lively until late at night. Ikebukuro has two major areas, one on the east and the other on the west side of the station. The east side offers more eateries where you can enjoy meals at Izakayas or restaurants in what is thought of as a safer environment. The area is also known for the ramen shops host spots. So if you like ramen, you will definitely want to visit here. On the other hand, the west side is considered to be the red-light district with many suspicious looking shops. We do not recommend going to the west side of the station at night. Ueno is an old downtown district where nostalgic and retro atmospheres remain. Ameya Yokocho has countless Izakayas, and a wide range of people from the young to the elderly enjoy bar hopping there. The price is often reasonable. While Ueno is a vibrant and chaotic city during the day, at midnight, it becomes incredibly quiet. The interesting thing about this place is that the Izakayas start to be lively early in the evening. People, mainly students and locals start drinking when the sun is still bright. Therefore, I would say the best time to go for a night out is from around 4 pm to 11 pm. Ginza is the most expensive area in Japan where luxury stores are lined up in the downtown. Izakayas and restaurants are sophisticated and so naturally the prices tend to be higher than in other areas. So, keep in mind that excluding some areas, Ginza is a place where business people in their thirties and older visit to have drinks and meals in a calm environment. It is an area where you don’t go for a lively nightlife, but instead to enjoy delicious meals and high-quality services in a quiet and relaxing atmosphere. On a different note, Ginza has always been an area where many famous people and celebrities have visited. Therefore, the city offers the best restaurants, Japanese-style restaurants and bars. If you are looking for nightlife in the area, it is worth visiting some of the famous bars in Ginza. 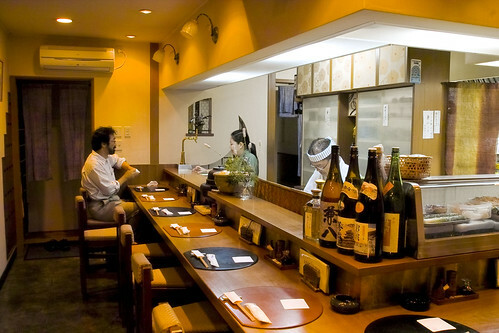 It is not too much to say that all the best Japanese traditional bars and legendary bartenders are in this area. Yurakucho, to the west of Ginza, and Shimbashi in the south of Ginza are both neighbors of Ginza, but have many reasonably priced Izakayas. The areas get lively and crowded with people of all generations who enjoy drinking after work. Especially, cheap and delicious Izakayas are all located under the Yurakucho train tracks and in the Karasumori Exit of Shimbashi Station. These areas are always vibrant and full of local people enjoying the night. Both areas have long been well visited drinking districts, enjoyed by many. The atmosphere is completely different from Ginza, which from my point of view, these are “the representative Japanese drinking districts.” Make sure to check them out. 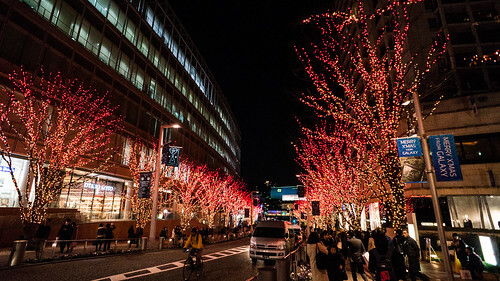 Aoyama and Omotesando are another luxury areas like Ginza. You will find a lot of fashionable restaurants but almost nothing of the authentic Tokyo style Izakayas, which possess a good atmosphere. People visiting there from other areas for purposes other than nightlife, such as shopping and beauty salons. I know this for a fact, as I used to live with my parents within 10 minutes walking distance from this area. In other words, this is a perfect area to look for some romantic restaurants, up-and-coming restaurants and nice meals. If you want to check out the quality of restaurants in Japan, you can find some of the best restaurants here such as the Italian restaurant Ristorante HiRo, the French restaurant Prevenance and the Japanese restaurant Ju Shu. You rarely see the media introducing Sangenjaya to tourists, but this is actually a very popular area among young locals. Particularly, it is quite spectacular to see the area called the triangular area (also known as delta), with its narrow alleys stretched in a web-like pattern with many small Izakayas lining there. As Sangenjaya Stations is conveniently located, just three stations away by train from Shibuya, the younger generations are opening a small but unique bars and Izakayas there. It is an interesting area where both new wave and old Japanese-style shops are mixed together. Many places are open till late, allowing you to enjoy the area all night long. Just like it is in most countries, people enjoy nightlife with families or friends on Fridays and Saturdays, making the downtown area very lively and crowded. Please note that on these days, popular izakayas are difficult to make reservations, and if you do not have reservations for karaoke, you will have to wait for a some time. You can find many people enjoying drinking until late. They often go to the nightclubs and sometimes there is a line of people waiting to get in, so make sure you to get there before midnight. After midnight, there is a possibility of getting caught in a long line. Relatively a large number of shops are open in Tokyo on Sundays compared to other cities in the world. There are many people going out up to around 10 pm. However, in case of local Izakayas and restaurants, make sure to check whether they are open, as they tend to be closed on Sundays. Bars and nightclubs are not recommended to visit as they are most likely deserted then. The locals who go out until late on Sundays are usually out for bar hopping from an Izakaya to a bar. In downtown areas, you will encounter many businessmen enjoying drinking after work until around 11pm. However, there are many restaurants closed on Mondays, therefore Mondays and Tuesdays are not very lively. Especially in Ginza, Shimbashi and Roppongi areas, they are more likely to have fewer people, so if you want to enjoy the vibrant city at night, Shinjuku and Shibuya are the recommended places to go. Bars are perfect place for those who want to drink in a quiet environment, but the bars in downtown get empty relatively early. Bars located outside the downtown area may offer more possibilities to hang out with some locals who are there enjoying a few drinks before going home. Nobody is really at the nightclub, but on Wednesdays and Thursdays, there are young people going out to popular nightclubs in Shibuya, which is known to be a playground for college students. Unless it is a residential area, all public transportation in central Tokyo are operational until about midnight, but there is a possibility that there will be no means of transportation after midnight. Here are some recommended transportation in Tokyo at midnight. JR: The last scheduled trains for the major JR lines run until about 0:30 am to 1 am. Until then the train comes frequently enough that it should enables you to go back to your hotel by train. However, if your hotel is further away from the central Tokyo, such as Yokohama or Saitama, the last train time will come earlier. Make sure to check the last train on the timetable in advance. Subway: The last scheduled train for the major subway lines is usually around 0:30. However, Japanese subway lines have a rather complicated transit system. So you want to make sure you take the transit time in consideration. The last buses come earlier than trains. It is better to be careful as the number of buses decreases after 9 pm. There are a few late-night buses, but they are only few in number and usually only run almost the same time as the last train. It is better not to consider the bus as your major means of transportation after 9 pm. Taxis can be found almost everywhere in the urban areas of Tokyo. Japanese taxis are very safe and you don't have to worry about discrepancy in your bill or taking a detour. As they run quite late at night, if you happen to miss the last train, then you can get a taxi at the taxi stand right outside the station, or simply stop a nearby taxi. However, the fare is higher than the train or bus. It would be about 1,000 to 2,000 yen for short distance and 5,000 to 10,000 yen for long distance. Lately, most taxies take a credit card. If you see stickers of credit cards on the windows, that means they accept a credit card. Mare sure to show your hotel to a driver by pointing it on googlemap. 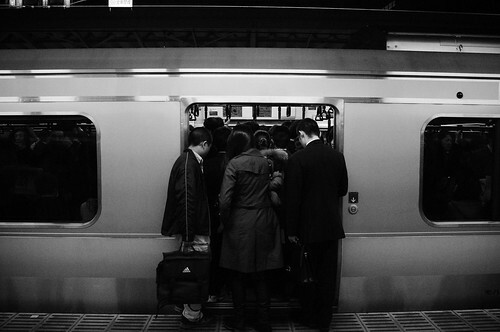 In Tokyo, you can catch a taxi from almost anywhere, and rarely will be refused a ride. Uber is not cheaper than a taxi. Because there is no need for Uber, people in Tokyo rarely use Uber. For this reason, there are not too many Uber drivers. It is better to take a taxi. You have missed your last train and the hotel is far away, which makes it too expensive to take a taxi. You are too tired to go to a nightclub. Don’t worry. There are many places in Tokyo where you can spend the night safely. You can easily find a 24 hours restaurant in central Tokyo. For example, Denny's, Royal Host are the famous ones. If you order a drink bar that is about 400 yen, you can have all-you-can-drinks until morning. Probably one of the more unknown to travelers are internet cafes. Internet cafes in Japan offer a variety of options to suit you. If you choose to stay overnight, you can simply pick a computer and they usually become your personal private booth where you can just lay down and take a nap for the night. During the weekday, most of the karaoke rooms offer a special package deal that allows you to stay from midnight to early in the morning. If you are going in a group of 2 or 3, you can use the karaoke room and sleep there. The most famous place to stay among travelers is a capsule hotel. If you're not claustrophobic then these hotels will offer a affordable place to stay when our out and about in the Tokyo nightlife. Rooms go for as little as 3000 yen and these types of hotels are scattered throughout Tokyo so you can be sure to find one near you. In order to avoide troubles, here are danger zones that I wouldn't recommend to go visit. 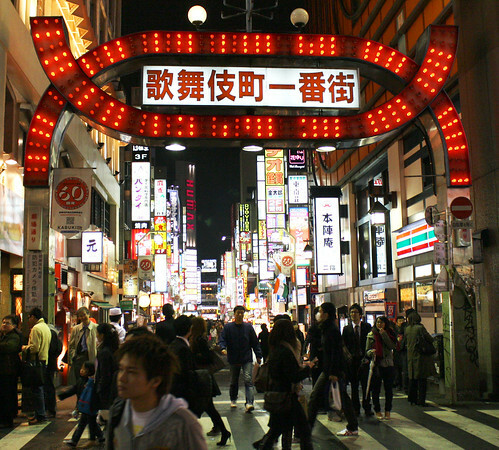 Kabukicho is one of the large entertainment districts in Asia. It is also a place where there are many yakuza, street gangs, or swindlers. Recently it has been quite safe but overcharging fraud is said to have been suddenly increasing. In some reported cases, customers who have ordered drinks and meals at restaurants and bars, have been charged an excessive amount of money, and as they have refused to pay, ended up confined in a room. There is certainly a safe area in Kabukicho, but make sure not to go to eat or drink places that are not located on the main street to avoid troubles. Although Ikebukuro is not a major sightseeing spot, it is a big station and also recognized as an entertainment district. You might have opportunities to take a walk around this area, but if you do, we recommend you to go to the east side of the station. The security on the west side has recently become considerably concerning and there is a possibility of getting into a unwanted situation if you mistakenly wander around there. Whether it is Shinjuku or Roppongi or Shibuya, there will be touts that will try to take you to restaurants, Izakayas and nightclubs. Avoid going with them. Of course there are cases that they will take you to good places, but in most cases, you end up going to over-charged facilities or to an unpopular place. Simply do not go with them as it is impossible to distinguish between the good touts and the bad ones. Golden Gai is an area near Kabukicho, with small bars located along the streets in a web-like pattern. It is a very interesting area, increasingly visited by many foreign tourists. Unlike Kabukicho there is no reported fraud here, but on the other hand there are many local regulations, and if you break them you may be in trouble. Pay particular attention to taking photos. Please be aware that taking photos in the Golden Gai requires permission from the shopping district in advance. You may be in trouble when taking pictures without permission. This is not only in Japan, it is rather common elsewhere in the world, but nightclubs tend to be one of the places you will get involved in troubles due to having many drunken customers. If you see a space near the dance floor with sofa in the Japanese nightclubs, that is a VIP area. If you sit down just because the sofa is empty, you could be kicked out of the place or you will have trouble with customers in the VIP area. In addition, please note that in Japan, people stand in a line to buy a drink at the counter. Be careful not to break into the line as it could also trouble. Otoshi is a type of service charge in Japanese Izakayas. It is an appetizer and will be included in your bill. You might feel strange about paying for food you have not ordered, but please understand that it serves as a substitute for a service charge. All you can drink is a set menu that is commonly provided in franchise Izakayas targeting younger people. This allows you to drink as much drinks as you want for a fixed price and period of time. It is a good system as you can enjoy a variety of drinks at a cheap price. However, in my personal opinion, there is a tendency for Izakayas that offer an all you can drink set, to have lower quality drinks and services. So, if you are going to places with this set menu, keep this in mind. In many cases, you will also have to empty your glasses, in order to be able to order the next drink. The cash-based culture still remains a standard in many Izakayas and bars throughout Japan. Especially in those small old-fashioned Izakayas, they take cash only. Also many restaurants do not take credit card at lunch time. It is safer to carry some cash with you not only when you are going out at night, but also when traveling Japan. When going to Izakayas filled with many young people, you might hear group of people chanting at times. This is a drinking game that encourages a person to drink according to the songs, which something it is known as "chant" or "ikki.” Although it is not praised much, if you happen to see on some occasions, please understand that this is also part of the Japanese culture. If you are enjoying the nightlife, there will be times when you run out of cash, or you need to charge your mobile. Then go to a convenience store. You can get most things you need there and you can draw money from the ATM. As it is open 24 hours, you can stop by at any time. Also, convenience stores sell a drink called Hepalize, which helps to prevent hangovers, so try this drink on a day you are likely to drink a lot. It may help you to avoid getting a bad hangover on the next day.